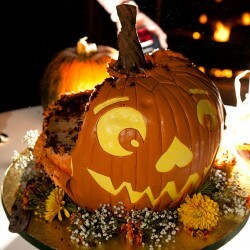 Today is my most favorite holiday of the year – Halloween! 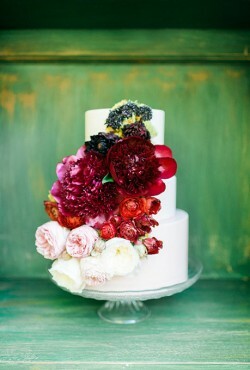 And if you’re lucky enough to choose October 31 as your wedding day (oh what fun!) the sky is pretty much the limit when it comes to adding some holiday fun to your reception. One of the classic signs of fall here in my hometown is a yard full of acorns – and squirrels hustling all season to bury those acorns in my yard for the winter. Which means, acorns are really a classic fall item. If there’s one thing I love more than wedding cake, it has to be ice cream. 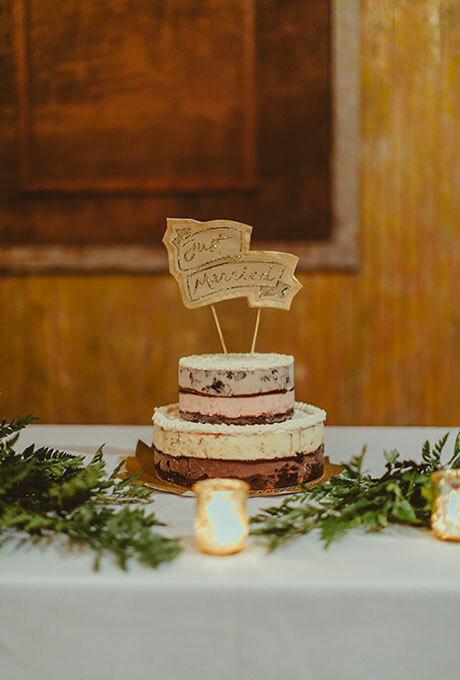 So, when I saw this ice cream wedding cake it was as if all my dessert dreams came true! I love cupcakes. And if given the chance I’d serve cupcakes at every celebration I host, including a wedding reception. 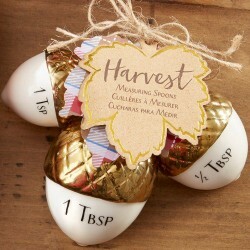 Sadly, when I was married all those years ago the wedding cupcake trend hadn’t happened yet. 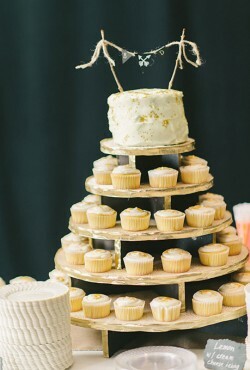 But now that cupcakes are all the rage, it is the perfect time to add some cupcake fun to your reception dessert table! 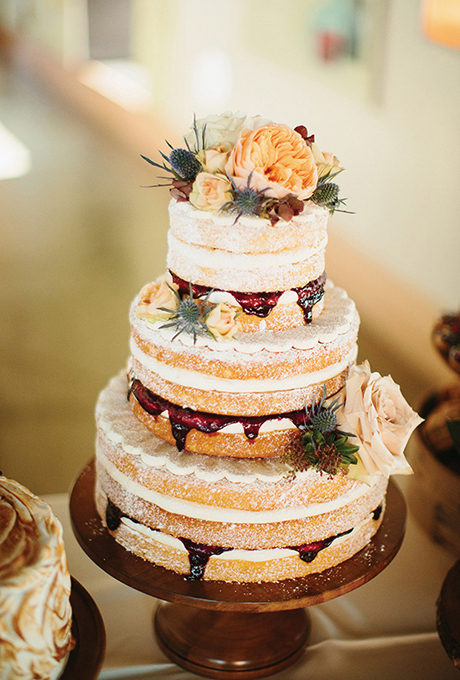 I love the idea in today’s featured cake photo – a small wedding cake (for the newlyweds) and cupcakes for all the guests. You could have so much fun with this concept – think of the flavors you could have with those cupcakes! You could choose seasonal flavors, classics like white and chocolate, and even fan favorites like red velvet (my all-time favorite cake flavor). And to add even more deliciousness to the party, make sure you have cute take-home boxes and enough cupcakes for you guests to take one for the road. You’ll find this cupcake and cake tower here. Recently, I’ve become obsessed with drinking hot tea at night. I bought a small tea pot, several kinds of tea, and every night I make myself a steaming cuppa tea with milk. 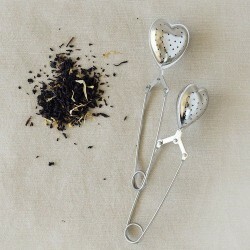 Perhaps this is why I’m loving today’s wedding favor idea – a heart-shaped tea infuser. Fall is definitely here and that means it is a perfect time to check out some rustic wedding cakes! 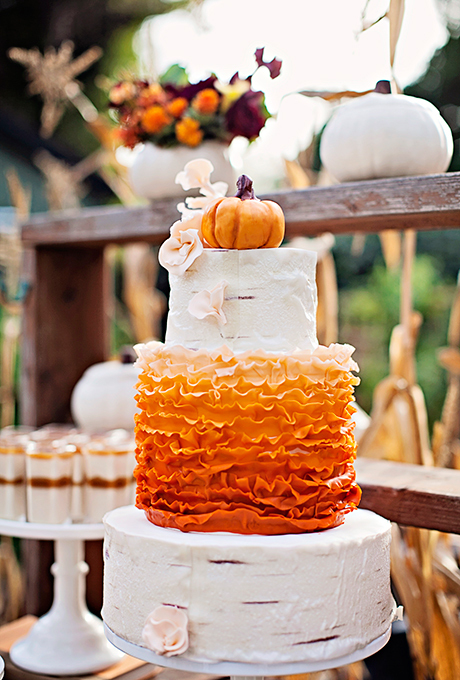 I love the idea of a cake that represents the season of your nuptials and rustic seems to go hand-in-hand with everything fall! I love everything about fall – even the fact that, where I live fall means you pull out all the summer flowers. This is OK with me because I just replace them with colorful mums! I love the dark hues of some of the mums and other fall-ish blooms that are perfect for this time of year. We’re skipping our normal ‘fun favor Friday’ post to bring you some really exciting news about getting married at Walt Disney World! 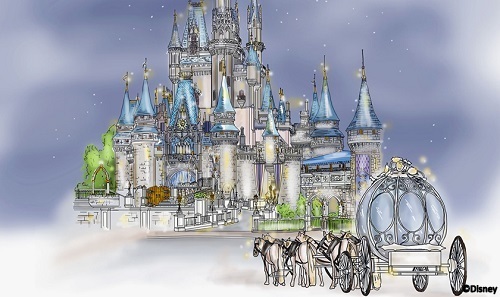 Have you ever dreamed of a magical wedding at the Magic Kingdom – after the park closes? Celebrate the Royal Wedding with a Disney Tweetup! Of the best things about fall is the annual visit to the local pumpkin farm. We get to pick our own pumpkins out in the fields and then it’s time to buy pumpkin doughnuts. There’s no denying that the pumpkins are the stars of the season. If I had the chance to do my wedding cake over, I’m pretty sure there would be chocolate involved. 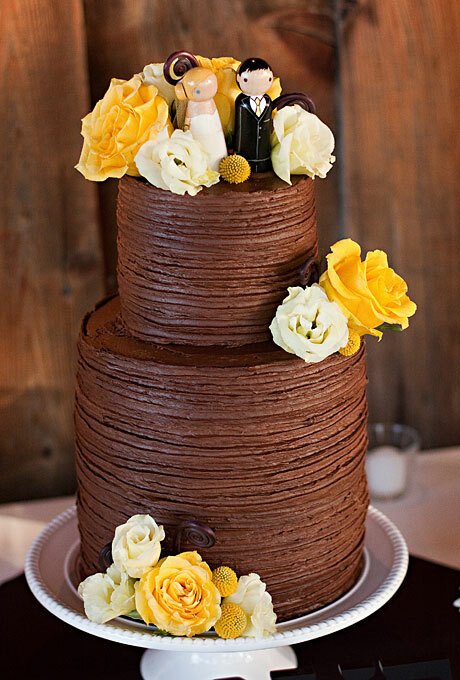 As in, I’d have an all chocolate wedding cake.